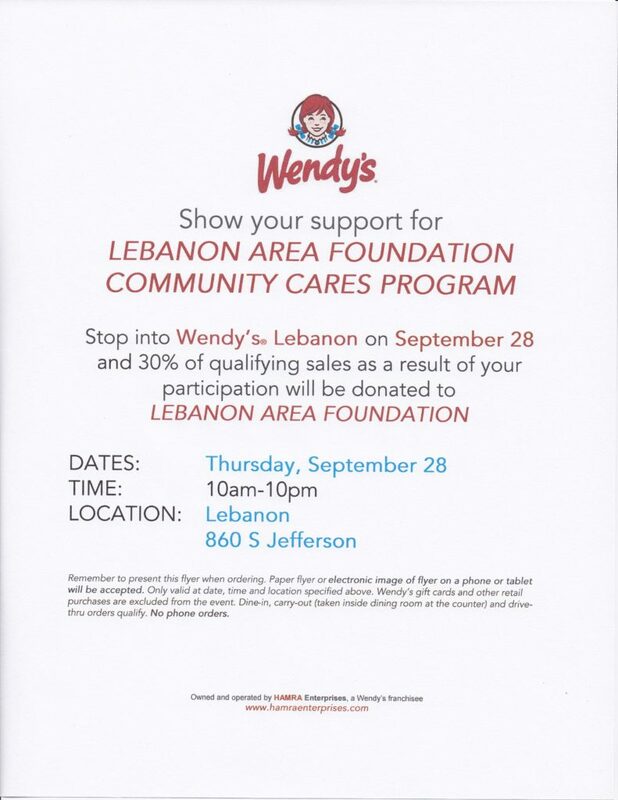 Support Community Cares when you enjoy a delicious meal at Wendy’s Restaurant in Lebanon, Missouri in the month of September! Simply present the flyer on your smartphone to the cashier when you order your food and 30% will be donated to Community Cares. Thank you! Your support raised $323.32 for area nonprofits this year!